This work is focused on hemocyanin (Hc) heterogeneity at population level and on the biochemical characterization of the different subunit patterns. Two different approaches have been used: we have characterized Hc subunit composition to describe the subunit polymorphism. Then, we have measured the Hc oxygen-binding affinity to disclose the physiological implications of such heterogeneity. 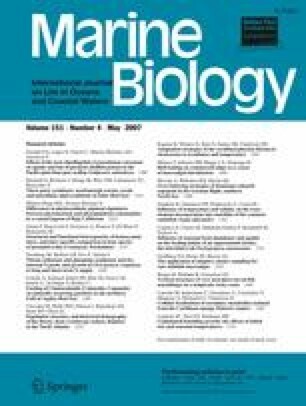 In order to evaluate the intra- and inter-specific variability, different populations of Liocarcinus depurator, Liocarcinus marmoreus, Liocarcinus holsatus, Necora puber (Crustacea: Portunidae), from British Isles and Adriatic Sea, have been sampled. Results indicate that Hc polymorphism normally occurs at both intra- and inter-specific levels and involves the protein subunit type. These evidences extend to the portunid Hc the concept of molecular heterogeneity within species that have been previously reported for other decapod and amphipod crustaceans. Besides, the results support the view that subunit composition of crustacean Hcs is almost species-specific, but also that closely related species share a common pattern. Furthermore, this heterogeneity corresponds to different stability of the native oligomers quaternary structure and different oxygen affinity. The results are discussed in relation with the environmental regimes that characterize the different sampling areas. In addition to Hc, the hemolymph collected in specimens from different sampling areas contained also a non-respiratory pseudo-Hc. This paper reports for the first time the occurrence of pseudo-Hc at the level of population. Communicated by R. Cattaneo-Vietti, Genova. Declaration: All the experiments comply with the current laws of Italy. The authors wish to thank Prof T. Burmester (University of Hamburg) for his suggestions and criticism, Dr O. Marin (University of Padova) for the availability of sequencing facilities. Prof M.J. Kaiser (School of Ocean Sciences, University of Wales, head of the CREAM group) and Dr R. Ormond (University Marine Biological Station of Millport) for providing all the facilities for sampling and Dr M. Bergmann and Dr J. Hall-Spencer for their collaboration in arranging field work. Furthermore, the scientific staff of the CREAM group (Coastal Research Ecology And Management Group), the crews of R/V Prince Madog and Aora and T. Andersen, A. Candeias, E. Chatzinikolaou, C. Saurel, P. Leontarakis, F. Van Gent, fully collaborated during sampling.